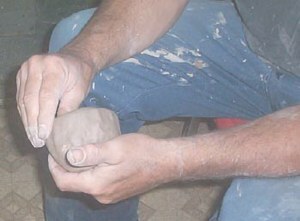 Pinch Pots are created by using your hands to hand press and shape the clay. 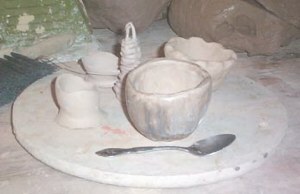 Small bowls to very large vessels can be created by pinching the clay. Pinch pots are some of the oldest archeological artifacts found. 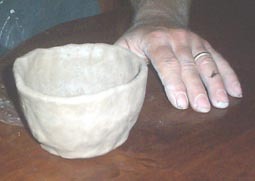 Many civilizations used pinch pots for functional use, even today. 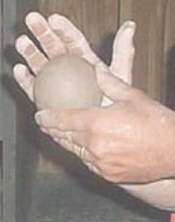 Begin by compressing your clay into a ball with your hands. Make sure your clay has adequate moisture. cracks, slice it up and add a small amount of water. 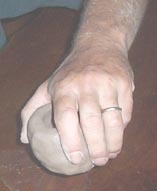 Re Wedging your clay, form your ball and compress again. 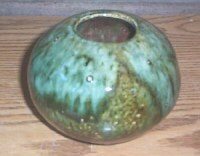 Start with a nice solid clay ball. creating a well in the center of the ball. not too deep as to push through the bottom of the pot. 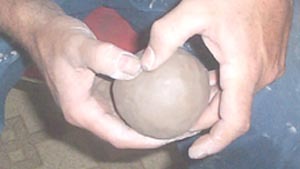 Hold your ball in your hands as shown while working with the clay. with each movement of your fingers. 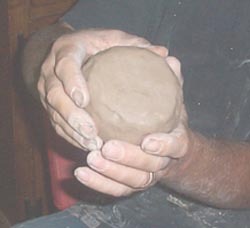 forming the wall and size of your pot. that will spiral the clay upwards creating a wall. 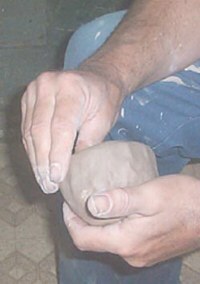 slightly upward with each pinch or push of the clay. where you started drawing your top inward. Move your fingers up and begin a new row. begin again on a new row until you have all of your clay pinched up. and work the wall upwards again. 3/8 of an inch, or thicker. Once you have completed shaping your piece you can flatten the bottom. form a nice flat bottom. 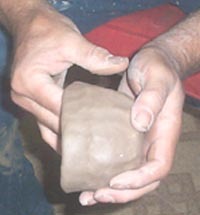 use your fingers to check for lumps, too much clay bunched up etc. 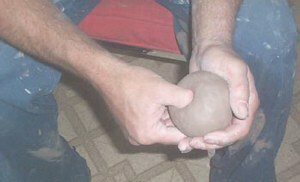 Using your fingers smooth the outside surface checking for lumps or undistributed clay. Set your piece aside covering with plastic allowing to dry until not quite leather hard. Burnishing your piece if you want to. and create a smooth shiny surface to your pot. Set your piece in a sunny dry area in your home to dry. It will get bone dry and then can be fired.